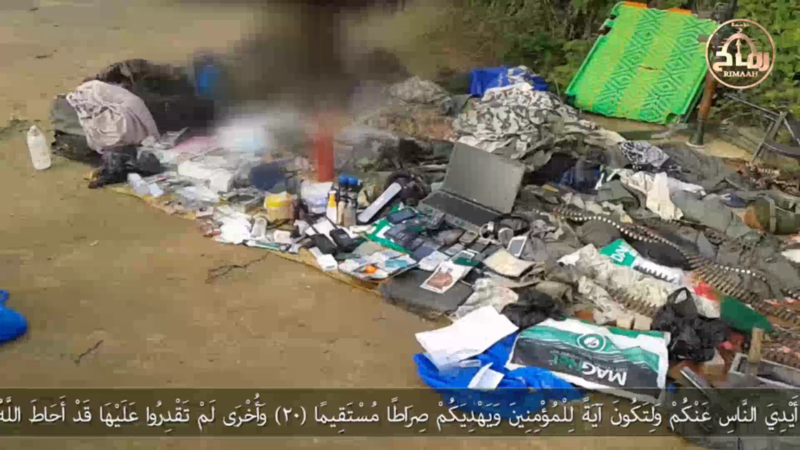 Ansar Dine, a largely Tuareg front group for al Qaeda in the Islamic Maghreb (AQIM), has released a video showing spoils captured by one of its battalions in the central portion of Mali. 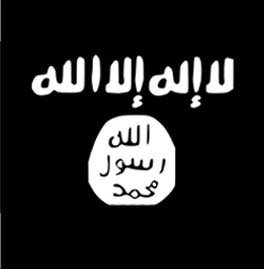 It is among the first video releases for the jihadist group’s relatively new Al Rimaah Media outlet. 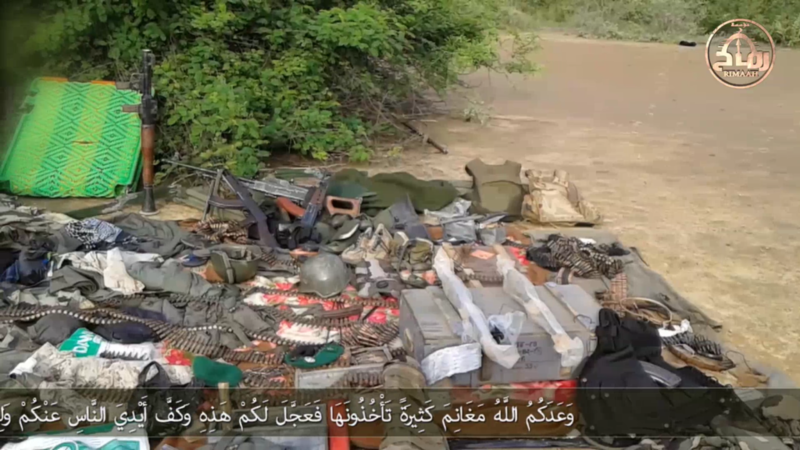 The jihadist group says that the video shows the spoils captured by its mainly ethnic Fulani Macina Battalion (also known as Katibat Macina), which is also known as the Macina Liberation Front, after an ambush on Malian troops near the town of Teninkou on Aug. 7. 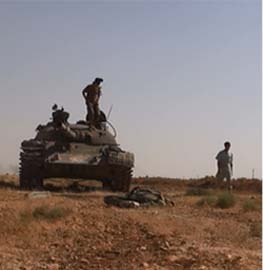 A statement in the video released in Arabic, French, and English states that the Macina Battalion ambushed the troops, then captured a vehicle, weapons, ammunition and other gear before retreating from the area. 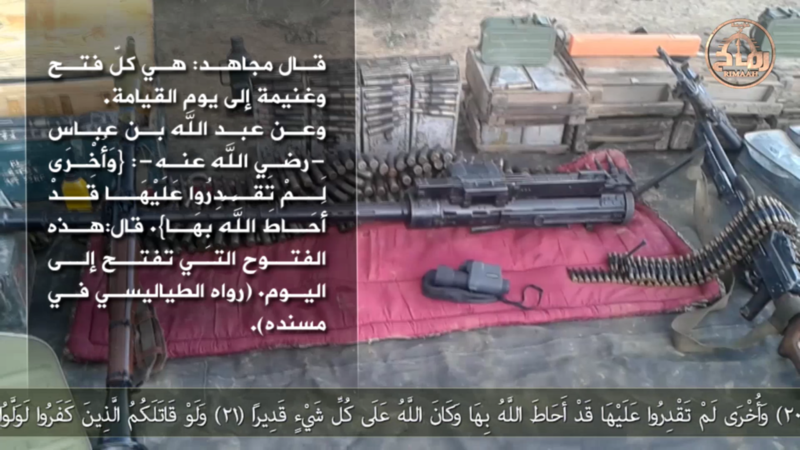 Based on the video contents, two Kalashnikovs, one PK machine gun, a DShK machine gun, one rocket-propelled grenade (RPG) and copious amounts of ammunition were captured in the ambush. 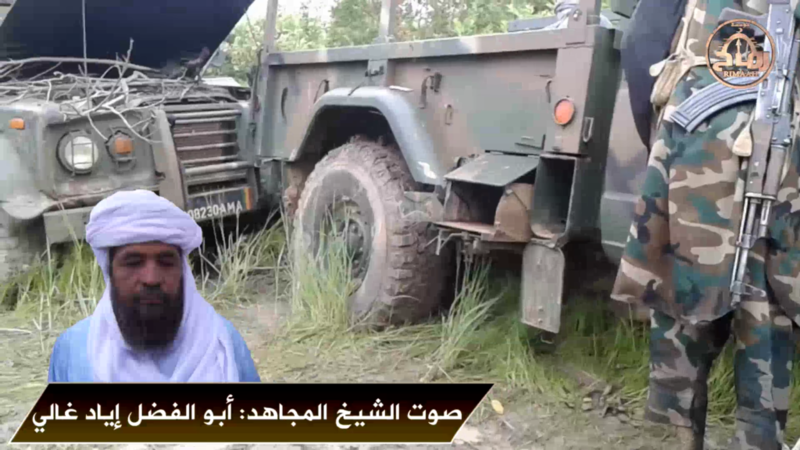 Additionally, an audio statement from Iyad Ag Ghaly, the emir (leader) of Ansar Dine, is included in the video. 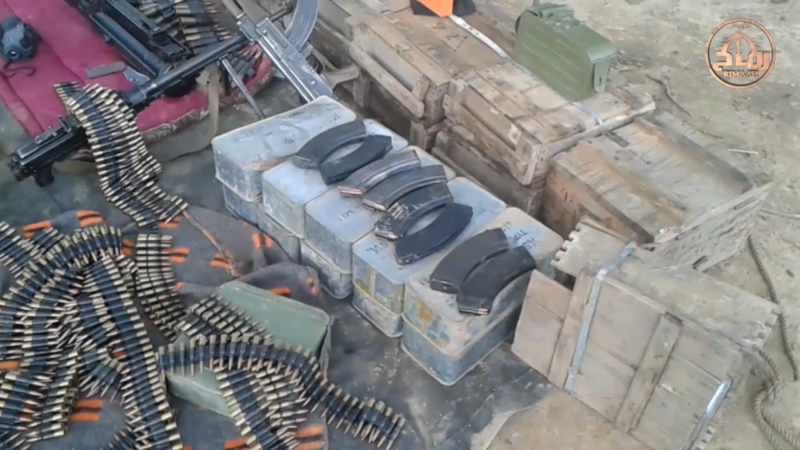 The video makes clear that the spoils captured were taken on Aug. 7, earlier this year. 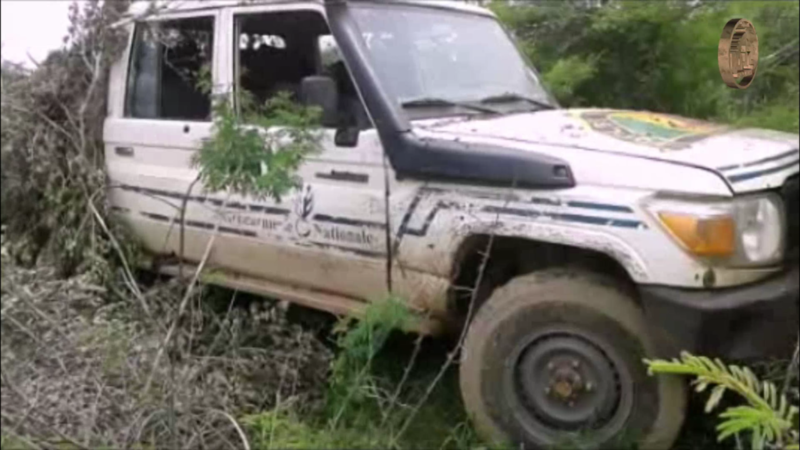 However, a day later, a similar event near the area of Teninkou was also reported by Malian media. Katibat Macina is also suspected of being behind that ambush, as well. 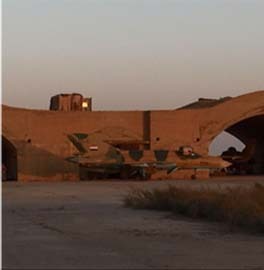 The commander is identified as Sheikh Yahya. However, Yahya was arrested by Malian authorities in July. In addition, Malian authorities also claimed to have captured a Burkinabe leader of Katibat Macina in July near the border with Burkina Faso. After a large-scale attack on a Malian military base in central Mali, Ansar Dine released a video showing five Malian soldiers that were taken hostage by the group. Katibat Macina, or the Macina Liberation Front, was formed last year as an ethnic Fulani front for Ansar Dine to coordinate actions and operations in central and southern Mali. 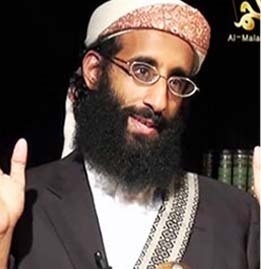 Ansar Dine itself, of course, is already a front for al Qaeda. 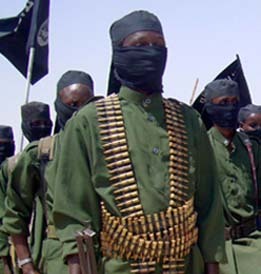 The katibat is believed to be led by Amadou Kouffa, a loyal ally of Ansar Dine leader Iyad Ag Ghaly. Kouffa fought with al Qaeda in 2012 and led several offensives to capture the northern portion of Mali and the central city of Konna. 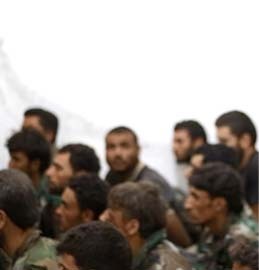 The establishment of this ethnic battalion fits with al Qaeda’s general strategy by allowing the jihadist group to exploit local ties and connections, as well as to appear as a local movement while masking ties to the international organization. The Khalid bin Walid Battalion, which does not appear to strike as frequently as Katibat Macina, was formed in 2013 by Suleiman Keita, another loyal ally to Iyad Ag Ghaly. According to Sahara Media, the battalion has around 200 fighters and is primarily based south of the Niger River. Keita was arrested by the Malian military earlier this year. While most al Qaeda attacks occur in Mali’s north, the jihadist group and its mainly affiliates and branches in the country retain the ability to strike in central and southern Mali and even in its capital Bamako. According to data compiled by The Long War Journal, there has been at least 167 al Qaeda-linked attacks in Mali and neighboring countries so far this year. At least 34 of these have occurred in the southern half.